The bloggers have scored their first major victory over the issue of citizenship privileges over non citizens in school fees. Bloggers have cried foul on behalf of all citizens that they were treated no better than PRs and non citizens, and in many instances it is better and more advantages to be PRs and non citizens than citizens. Today the Ministry of Education has announced sweeping changes in school registrations and school fees to differentiate between citizens and non citizens. These changes will take effect in year 2011 and 2012. Children of citizens will now get an additional ballot slip to boost their chances for enrolment in their preferred schools. The meaty part is the hike in school fees which will see children of PRs paying up to 2 times in year 2011 or 4 times in 2012. Non resident children or international students will also see comparative hikes in their school fees up to junior colleges. Would these changes have come about if there were no bloggers to whine about or kpkb in cyberspace? Would the main media do the necessary and bring about the changes by reporting the grouses of the citizens the way the bloggers have done? I think credit must be given to all bloggers who have played their painful and unrecognised role in this matter. Some injustice to the citizens have now been squared. This is the first step towards recognising the citizens and rewarding them for the huge sacrifices and responsibilities they shouldered for the country. The next targets should be hospitalisation fees and housing. More restrictions should be placed on PRs buying public flats even if they have bought them from the open market to prevent speculative activities. The same levies should be imposed on them, including a number of years before they are allowed to resell. More needs to be done to enhance the value of citizenship and give dignity to the citizens in other areas. Bloggers must continue to play their roles to champion the cause of the citizens. Jayne Goh, the founder of the Association of Bloggers of Singapore which does not represent the majority of bloggers except a few founding members, has been judged by the High Court to have defamed a teacher, Janet Wong, for being corrupt. In her blog she 'alleged that Mrs Wong accepted bribes in return for allowing foreign students admission into her school. Jayne alleged in her blog that Mrs Wong demanded 'a $3,000 cash donation for each student placed in the school...and that entrance tests for such students were fixed'. The case is now pending appeal or Jayne Goh would have to pay damages for failing to remove the article as demanded by Janet Wong. What is important to bloggers is that the internet and blogging give bloggers a lot of freedom to write and express their views. But bloggers should be careful not to exceed the limitations of such rights to encroach into other people's rights. And posting scandulous or defamatory articles could bring about lawsuits which are very costly. Bloggers should feel free to express their views on issues and differences or disagreements are fair game. Comments that may be interpreted as personal attacks or affecting the integrity and reputation of individuals should be tackled sensitively and diplomatically. We will have more news of this case since it is the first major case involving bloggers here. The editorial of the Straits Times applauded the new measures to protect students from premature closure of private schools. The additional requirements by the MOE will give students some peace of mind, at least they would not lose all their money, and there is an option of placement in other private schools. What was not addressed is the time and effort lost while being a student of fly by night schools or con shops. The other good things are Singapore's reputation as an education hub and the Singapore Brand which will be protected in some ways. Looking at the other side, a lot of people will lose their jobs or income. The ST editorial says it is a good thing to let the weaker private schools close shop. When that happens, the teaching staff and administrative staff will lose their jobs if more private schools find it difficult to operate here. The landlords will not be able to let out their office space, and all the people in the supporting industry will be affected. The value of commercial properties will go down as well. That is bad for those who have plonked their money in such properties. What will happen is that with more controls it will restrain the entrepreneur spirit of the businessmen to make a quick buck. Don't forget that this is one of the secrets of our success story. Entrepreneurship will be curtailed. This is bad too as we are promoting entrepreneurship for those who have lost their jobs. Making money opportunities will also be limited. This is contrary to what private education is all about. The private educationist and entrepreneurs will disagree with this. They will definitely insist that private education is about education. Is it or it isn't is subjective. I concede that the good private schools are doing a good job in providing the opportunities for students to get their education when the public schools could not offer them. This is a very good cause and reason for private schools. We have a conflict of interest don't we? We want to provide education and also make money but we can't have it all with more restrictions on the entrepreneurs or cheats. A possible solution to have the cake and eat it is to have two kinds of private schools. One will have full govt endorsement and abide by all the good regulations. In another sector, let it be free for all, no regulations and students beware, caveat emptor hor. And I think many would love that, including some special groups of students, and the cheat operators of course. There is a market for bogus schools, really, no bluffing. Not a bad suggestion isn't it? Catering for the good, the bad and the ugly. And we will have a very vibrant education scene and more foreign students will come to our shore. The Ministry of Education has come up with new regulations under the Private Education Act to protect students from losing their tuition fees paid in case of the schools closing down. The change means that private schools can now collect only two months of fees in advance or 6 months if they purchasing a fee protection insurance. With these changes private students can at worst lose a few months of their fees. What a big help. Is money the only thing that needs protection? What about the wasted time, the anguish, and the psychological consequences of a young student being caught in such a dilemma? Hehe, we can only think of money. Money is our culture. Then students were told to be vigilant. It is still caveat emptor! Does the authority think that the culprits or cheats that caused the mess need to be punished as well? Where is the big stick? They should have learnt from the stock exchange where little human mistakes of a few hundred dollars can result in thousands of dollars of fines. Mind you, it is human error and not fraud or bad intention. The punitive penalties have struck fear in the remisiers for making mistakes. But mistakes they will make as they are not demigods or immortals. And they will be very very careful. The MOE should adopt a similar policy and strike fear among the fraudsters and cheats in the private education industry. Make the punishment punitive and fearful enough to keep them away. Here we are talking about crimes and bad intention and these must surely deserve more severe punishment than pure human errors. Without such punishment, the lure of easy money from innocent and vulnerable foreign students will be too attractive for the cheats to continue what they are doing. The MOE must send out a strong signal that they mean business and has the resolve to want to clean up the industry of such pests. The above article is copied from Asian Correspondent. The Singapore Education Brand - Does anyone bother? This guy handed me his name card and it read, Dr Boh Tak Cheh, CEO, Karanguni Enterprise. He gave me that big and confident smile, telling me that he had arrived. He owned a very big and successful business in collecting old and secondhand goods and resell them for profits. He had done well. He told me that his good friend, the headman of Sungei Road Thief Market, as it was well known for selling secondhand and stolen goods, has also acquired a doctorate from a foreign university which he did not know where. Many successful Singaporeans are now flashing their doctorates in their name cards. For these new towkays, they have done exceedingly well in their businesses. I always tell them that they don't need that stupid degree to be respectable. When Dr Boh Tak Cheh parks his Mercedes 400 at the entrance of the hotel, the doormen will all rush to open his car door. I have to quietly sneak in myself without anyone noticing that I have been there. People like Dr Boh would probably be directors of several companies and chairmans of many social and business organisations. We should salute such men and women who have done well and contribute to society in their own ways. What is troublesome is that there are many unaccredited colleges that claim to be universities and setting up shops here to issue degrees to the point that Singapore has appear in the infamous list of unaccredited institutions and degree mills of the Oregon's Office of Degree Authorisation. 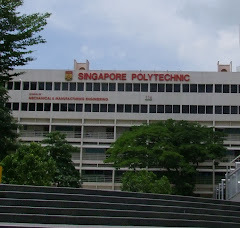 The six Singaporean institutions named in Sandra Davie's article in the ST are Cranston University, Templeton University, Trident University of Technology, Vancouver University Worldwide, Westmore University and the last one, with the gumption to call itself Lee Community College, also set up business here. For several years since the liberalisation and the ambition plan to turn Singapore into an education hub, the education scene is like no man's land. Quite a number of private schools have failed and left students, both foreign and locals, stranded, wasted their time and money cheated. As if these were not enough signals to warrant some kind of enforcement, things seems to go on as per normal. Nothing happen leh. Other than the diminishing value and credibility in the Singapore Education Brand, the saddest part is that innocent students came to be swindled off their hard earned money, and some wasted years all for nothing. Anyone feeling guilty or responsible? In a hotel when there is no ownership and everyone only thinks about his big bonus and holidays, such neglect is a likely outcome. When will god get angry? Despite the setbacks, there are many honorable people who have came into the education scene and have filled a gap for the hungry students who wanted to further their studies. They have done a noble job to provide the opportunities that are otherwise not there, for students to chase their dreams for a better education and a better life. The works of these honorable people in providing education to those who needed them could be tarnished and negatively affected by the sheer lack of enforcement to ensure that the black sheep are weeded out. When education is not about education but making money, indiscretion and fraud are bound to be occur. This is not restricted just to this industry. Medical health, insurance, legal services, the financial industry etc etc, are also victims to this profit making mindset, when making money supercedes all considerations, even ethics and morality. How long will the Singapore Brand be battered before it goes into the gutters? Who is responsible? THIS year's top student in the Primary School Leaving Examination (PSLE) could barely speak any English when she moved here from China in 2006 with her family. Qiu Biqing, 13, from Qifa Primary School, achieved an aggregate score of 290, with four A*s and a Distinction in Higher Chinese. Her father, Mr Qiu Guo Hua, 45, is a research fellow at the National University of Singapore, and her mother, Madam Xie Xiaojin, 42, is a research assistant there. They both work in a physiology lab. The top Indian pupil this year is Muhammad Saad Siddiqui from Anglo-Chinese School (Primary), and the top Malay pupil is Syafiqah Nabilah Bte Shamshera from Raffles Girls' Primary School. Biqing said that she improved her English by reading a lot, and not being afraid to speak aloud even if she made mistakes. She has a place in Raffles Girls' School through the Direct Schools Admission process and hopes to become a lawyer or a novelist. Below is an interesting article on what the education scene will be in Singapore down the road. We are reinventing education in more ways than the advanced countries of the West. We are hitting new grounds and carving out a niche for ourselves in education in our own ways. We are edupreneurs. Government plans call for developing school pupils in other than academic pursuits, with less emphasis on exams, to equip young people better for life. But some parents still baulk at the change. FOR years, Singapore’s schools have been steering a bit away from their traditional teaching towards a 21st century “ideas” economy. The pursuit, however, has been sporadic rather than countrywide. But come 2016, an institutional transformation will take place in all primary schools. The revamp, announced last week, is aimed at making pupils adept at not only Science and English, but also at thinking and communicating. 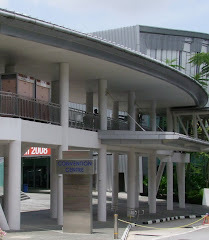 In seven years’ time – when enough buildings and teachers are in place – all Singapore primary schools (attended by thousands of foreigners) will introduce full-day sessions. More importantly, they will do away with mid- and end-year exams in Primary One and Two, and only graduates would be allowed to teach. The future classroom will introduce 7- and 8-year-olds to outdoor education, where music and visual arts will be given as much importance as traditional subjects. “For kids of this age, exams will not figure at all,” one official said. They will be replaced by assessments of a student’s progress. Thirdly, children will be encouraged to take up co-curricular activities (CCAs) from Primary 1. These changes, to be extended later to secondary schools, will in part end a system inherited from the British that emphasised exams and rote learning. 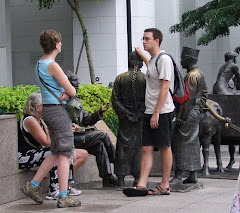 It proved successful in producing an educated, disciplined workforce that turned Singapore into a developed nation. Besides, the secondary schools are regularly ranked the world’s top three in Science and Maths. But in a world in which nations compete with ideas and technical skills, Singapore’s education system has outlived some of its usefulness. In my course of reporting in recent years, I have frequently heard executives of multinational corporations complain that our data-skilled workers lack initiative and require hand-holding. This is what the new education system hopes to rectify. The result so far has been impressive. One neighbourhood primary school has infused robotics into its science teaching, with students designing simple robots and learning about their inner workings. Thousands of students at another school are taught not only to identify a healthy, nutritious meal, but also to cook it. Others require their pupils to write compositions on a tablet PC, using PowerPoint for images and colour fonts. At Hougang Primary, seven-year-olds share their classrooms with an assortment of insects, plants and skeleton frames. The secondary schools are even more into the game, including practising entrepreneurship. At a premium school they ran an art gallery carnival, drawing up proposals for manpower costing, concept plans and profit margins. These experiments are not confined to the top schools. Many “unbranded” ones also excel in them. One of them has allowed students to operate a general store that sells products and services (like photocopying) to other students. In Jurong Junior College and Fuchun Primary, students can buy shares in businesses in their schools. Junior college students have met to tackle Singapore’s declining birth rates, while polytechnic youths created a new fragrance and began marketing it to romancing couples – and invented a health-food chocolate for sale to the public. The strategy is to develop students who are not academically inclined but skilled in other areas like IT, music, sports or designing. Minister Mentor Lee Kuan Yew said Singapore’s economy needs all kinds of talented people. “We now have to try and bring up people who do not necessarily do well in the universities, but who will do well in life,” he said. Not everyone believes this change can be achieved soon, at least not until the government relaxes its control on this regulated society. Some do not think it can be – or need be – done at all. Parents who have a fixation on exams and high marks are among the biggest stumbling blocks. A prominent blogger quoted from a speech given by Sir Ken Robinson, an expert in creative and cultural education, who said children had no need to be taught to be creative. The reason: they already are creative, and often it is the schools that are educating them out of their creative capabilities, he said. “By the time they get to be adults, most kids have lost that capacity. They have become frightened of being wrong. And we run our companies this way. We stigmatise mistakes,” he added. The determination of Singapore’s mothers to fight for their children’s high grades has played a major role in the nation’s education. With the new strategy, it could prove negative for their kids when they fail to re-adapt. Mrs Chang Wai Leng wrote to the Straits Times. My son Chang Shu Ren was featured in Monday's report on NorthLight School, 'Success on their "last chance". He had always struggled academically and was going nowhere in his studies. So it was a joy to me when NorthLight was set up in 2007. I asked the principal, Mrs Chua Yen Ching, to make an exception and admit him. I had faith that a school with a mission to give a second chance to the academically weak and equip them with the right skills and attitude to succeed in life was the best place for my child. And our family has been richly rewarded by the growth in confidence and maturity of our son. If there is one word that best describes NorthLight, it is 'heart'. Everything is done for the good of its students and their families. This heart thing is quite losing its existence in a materialistic city like ours. Good to hear that heart is still around. Can students assume that all is ok? With the closing of Brookes Business School and its subsidiary school, can students attending classes in all the existing private schools feel secure that they will not get into the same problem as those from these two schools? Case's Executive Director Seah Seng Choon has explained that CaseTrust is just about protecting the fees students paid and welfare practices. 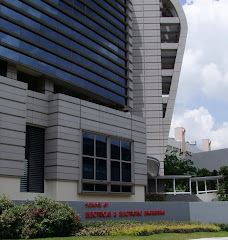 The role of ensuring academic excellence is the responsibility of Spring Singapore. In 2004, EDB's press statement said that an accreditation council was supposed to be set up. This somehow did not materialise. Can we assume that all the private schools thus did not go through a screening process to ensure that what they claimed were genuine and that all of them are sound and proper? A new regime will be set up under EduTrust to regulate private schools and the quality of the services they are providing. Until then, Case is stepping up to check on private schools to see that all is in order. There is a lapse of 5 years of free enterprise when everything goes. 5 years of caveat emptor while the foul smell was floating around and with several other incidents and several schools closed down. What a pathetic state of affair that was allowed go on for so long without any body stepping in to protect the students and the image of a reliable and world class education hub that we are building. Can students assume that everything is ok now? SINGAPORE’S bid to turn the dream of millions of Asians for a 21st century education into a big business has run into a snag. Two news headlines last week explained part of it: the first read, “Business school shut down for selling fake degrees”, and then a day later, “A second case of bogus certificates”. Hundreds of students found their higher studies rudely interrupted when the two rogue schools were ordered to close, forcing them to scramble for alternatives or drop their study pursuits. The larger of the two, Brookes Business School, saw 400 students (half of them foreigners) in the horns of a dilemma. 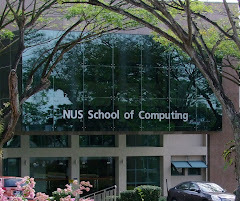 It also delivered a blow to Singapore’s image as a reliable hub for higher education, which now caters to an estimated 100,000 foreign students from 20 countries. Privately-run Brookes had handed out fake degrees from top universities in Britain and Australia, including the Royal Melbourne Institute of Technology, which has lodged a police report. In the other case, 40 students, all from abroad, suffered the same fate. The closures came as a shock to the students, some of whom only found out when they arrived to find the doors locked. They are the latest in a series of scandals in recent years committed by rogue merchants “who cashed in on people’s dreams” (as one critic put it). The victims, from Singapore, China, India and countries in South-east Asia, were duped into paying S$12,000 to S$18,000 a year for a worthless piece of paper. 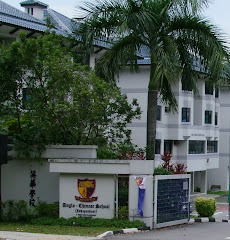 They came because of Singapore’s reputation for high standards, believing that any school that registered with the government must be reliable. After the news broke, several Singaporeans who graduated from Brookes Business School with fake RMIT degrees resigned from their jobs before they were found out. In the past four years, about a dozen reported cases of bogus degrees or misleading claims about the mushrooming private schools have left thousands of foreigners stranded. > Feb 25, 2009: “Four Private Schools Closed — Be Careful!”. Altogether 11 have failed in the past year due to poor enrolments, with many students losing their money. > Oct 24, 2008: “Fancy Setting, Worthless Degrees”; 76 people graduate with worthless papers from an unaccredited university known as a degree supplier. > Sept 15, 2008: “Stop These Degree Courses, School Told”; Ministry of Education revokes approval for University of Northern Virginia courses; 270 students were affected. > June 9, 2007: “Froebel Shuts Its Doors To Angry Students”. Mostly students from China, they protested against the non-issuing of certificates and no refunds, while lecturers were not paid for work. > Sept 20, 2006: “Two China students Sue IT School” saying they had paid S$80,500 for a “misrepresented” Masters course. A check by reporters found its premises vacated. > Sept 2, 2005: “900 Students Hit By School’s Closure”. The affected were mostly foreigners, having to leave AIT Academy when it failed to meet government standards. In perspective, these make up only a fraction of the nation’s 1,200 private — mostly small — schools. So is the proportion of rogue merchants that cash in on people’s dreams. 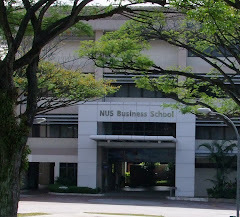 The black mark does not affect the majority of education ventures in Singapore — particularly the mainstream universities and official institutions — which provide high quality courses. However limited in number, these few high-profile scams are spreading far and wide across frontiers that could hurt the city’s image as a reliable, distinctive hub. The government is worried that the cheating cases could undermine the country’s fast-growing, US$8bil a year education hub. It plans to enact a new Private Education Bill later this year to impose tougher penalties on commercial ventures (including hefty fines and imprisonment) that misrepresent themselves and leave students in the lurch. Until then, it is tightening supervision on them; last year it took measures to protect students from unfairly losing their fee money. Critics blame it partly on the government for allowing these schools to proliferate so quickly that it makes screening or supervision almost impossible. Some of them are calling for a scale-back of plans to have 150,000 foreign students here by 2015 — a 50% increase from current figures. Their rationale is this already over-crowded city will not be able to cope with it. It is unlikely to be heeded though, with Singapore’s other hub activities likely to remain weak in the coming years. “Education is the most resilient of all the hubs, and it has survived the recession relatively unscathed,” said a private tutor. He is getting more classes to teach. Not all foreigners who end up with a worthless degree or diploma are con victims. Some of them, who lack the minimum qualifications to be accepted for a mainstream institution (many hardly speak English), or are too poor to afford to afford it, are willing participants in the scam. For them, a fake degree will help get them a job back home — which, of course, spells more trouble for Singapore. Unless it is under control, a day may arrive when global companies start looking at a Singapore-issued degrees through a magnifying glass. Would Singapore become another Mexico? Brookes Business School was ordered to close by the MOE for issuing fake degrees. Now its subsidiary, Stamford Global Learning is also ordered to close. The former had 400 students while Stamford Global has 40. How would this affect Singapore's reputation as a world class education centre? This is not the first time such things happened. Is it so difficult to avoid such a mess? Just a few phone calls to the universities concerned will do the trick. Maybe it is too troublesome, too big a job. Maybe it is nobody's responsibility. Oh, free market, self regulations, caveat emptor. Now I am wondering how serious is this fake degree flu and how far it is going to spread. Totally irresponsible. BROOKES Business School, which peddled fake degrees and diplomas to hundreds of students, has been ordered to shut down. GET a degree from the Royal Melbourne Institute of Technology (RMIT) in a year for just $12,000.This was among the pitches served up to Brookes Business School's prospective students and which The Straits Times exposed in a report last month. The private school handed out bogus qualifications from brand-name institutions in Australia and Britain, including the Royal Melbourne Institute of Technology (RMIT), in a practice which was exposed last month by The Straits Times. The Education Ministry (MOE) said on Tuesday it had revoked the school's registration for contravening the Education Act. The 400 students enrolled at the school - half of them foreigners - had little warning of the impending action. Many turned up at Brookes' premises in Beach Road on Tuesday morning to find the door closed and an MOE closure notice stuck to it. Some had been telephoned earlier by a staff member of the school and told that classes would be cancelled for the week, resuming in about a fortnight. One of them, who gave his name as Thomas, 21, said the caller neither identified herself nor gave a reason for the cancellation. 'It was so strange, so I thought: better to come down and get answers,' said the Chinese national, who is studying for a diploma in tourism and hospitality. He failed to find any answers though, since staff and lecturers were nowhere to be seen. Neither was the man at the centre of the fiasco, the school's registered owner, Mr Benny Yap Chee Mun, 39. Students said the last time they saw him was just after news broke of the scam in mid-June, when he called a meeting and assured them that the school's degrees were bona fide, and that it would not close down. He had told The Straits Times that he had been duped by a Vietnamese man, who sold him a 'franchise' to offer RMIT degrees in 2007. 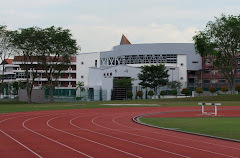 On Tuesday, however, an MOE spokesman said there was 'sufficient evidence' to prove Mr Yap 'is not a fit and proper person to continue to operate the school'. Calls to the school and Mr Yap went unanswered. Students have been told by MOE to approach the Association of Private Schools and Colleges (APSC), which represents some 40 private schools here, to help with transfers to other schools. Dr Andrew Chua, its president, said that four receiving schools had been identified. He advised students to seek help at its secretariat at 9, Ah Hood Road, which will be open from 9am to 5pm from Wednesday till Friday. Students seeking fee refunds, which ranged from $9,000 to $12,000 for a one-year specialist diploma, should approach the Consumers Association of Singapore (Case) for advice, said the ministry. The above is a Straits Times article published on 15 Jul 09.